I can't believe it that i've been blogging for 10 years already. Wow, i am overwhelmed. If this blog is a TV show, we could do a reunion episode already! Hahaha. If you have been reading this blog all the way since i first started blogging, thank you for staying. You don't know how much it means to me. This blog is a big part of me. I grew up with this blog. I recently went through my first few post and GOOD GOD, I'm mortified! There were days when i wrote like some emo kid, some 40-year-old aunty and even a rempit. I was so close to deleting some posts because, ugh, i'm so embarrassed of myself! But then again, that is my growing up process. If people want to see how much i have grown over the years, have a look at this blog. This blog is basically my life journey. In accordance to my 10th year anniversary, i bought myself a little present. I have always wanted a domain. My own _____.com. But i hesitated because i thought it would be costly and it means more commitment that i wasn't ready to have. But now i'm 23 years old, employed and i know i can afford it. So this is it. It's time. 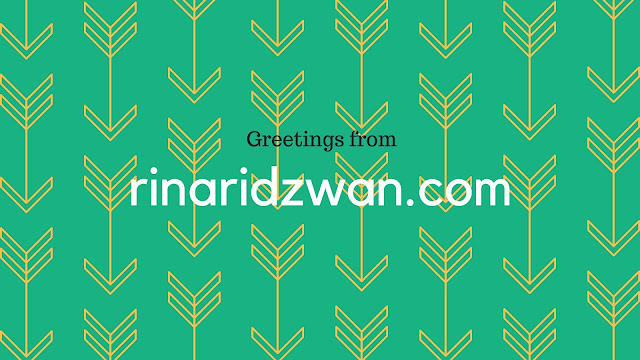 In celebration of 10 years of writing, i changed rinagoesretro.blogspot.com to a more personalized URL -- rinaridzwan.com. Again, if you have been reading my blog for quite a long time, thank you for growing up with me.